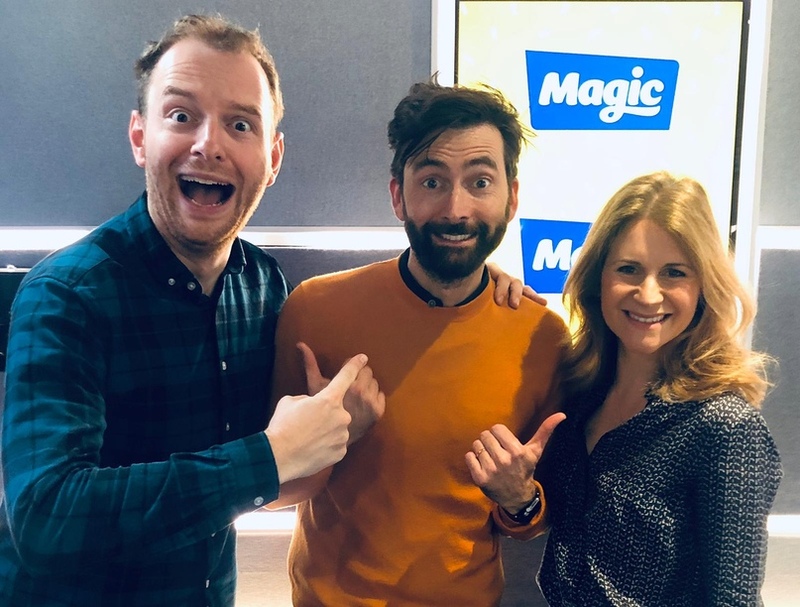 An interview with David Tennant to promote his new podcast, David Tennant Does A Podcast With..., was aired on Magic FM this morning. David chatted to Harriet and Tom about the podcast which launched last week and sees David embark on revealing conversations, surprise stories and lots of laughs with a host of A list celebrity chums. The series will continue weekly, with new episodes dropping on Tuesdays. This week David's guest is the multi-award winning actress, comedian, TV host and human rights activist Whoopi Goldberg. Other guests confirmed include Jon Hamm, Michael Sheen, Sir Ian McKellen, Jodie Whittaker, Samantha Bee, Krysten Ritter and Gordon Brown, with many more names on the way. You can listen to the chat, which is around the 2hr mark, on Magic’s catch up service via their app here. And you can listen to the David Tennant Does A Podcast With... now on Spotify, iTunes, Acast or wherever you get your podcasts from!